Some time ago, it was impossible to track mobile phones, as they didn’t have such a tool as a GPS technology and tracking was available only to various legal or governmental institutions. It was a privilege and regular people were not able to use such instruments for their own purposes. Governments have long been accused of using surveillance tools to spy on citizen’s locations. But the reach of tracking app technology has grown over the time due to GPS and other locations services. Businesses and even marketing companies use our location for targeted advertisements. Tracking Android phones have been relatively easier due to commercially developed tracking apps, but now some potent apps for iPhone are also emerging. Xnspy is one such useful tracking app for iPhone. Why Should You Prefer Xnspy? All modern cell phones have a GPS system, which is used by most of the tracking apps. The data they collect is then sent back to the app and displayed on your device. The modern apps give users a chance to manage the process automatically by following a few instructions. This app allows anyone to concentrate on important things and knowing about their target 24/7. Another reason to prefer the app is that it is compatible with the latest iOS 11.0.3 version of the iPhone. This makes it compatible with the previous as well as new iPhone models. So why should you choose Xnspy? 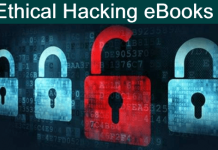 Because it is more than just a tracking app for iPhone, and that’s why, it is considered to be the best app for spying on iPhone. Although it’s tracking features are comprehensive, it has lots of other cell phone monitoring features. Tracking Features: The tracking capabilities of the Xnspy can be considered as one of the best. It has multiple sub-features to monitor the location of any person. Locations Logs: If you are a busy person and cannot track your child or employee all day around, Xnspy will inform you about their location details from anywhere. This tracking app provides the day-long location details of the person in the form of location logs. Geo-Fencing: This feature allows you to set boundaries within a certain geographic area to monitor your target. Whenever the target person enters any ‘geo-fenced’ area or leaves it, you are informed through notifications on your iPhone. Live Location Monitoring: This real-time monitoring toolinforms you about the location of the people and what paths they take to navigate. The live monitoring tool has accuracy, and it provides a real account of the location changes. Talking about some other features that makeXnspy best app for spying on iPhone; one of them is Remote Control.There are a number of different actions you can take while using this feature. Suppose you want to listen to the surroundings of a monitored person, you can simply use their “Ambient Recorder” feature and listen to whatever’s happening around them. Besides listening, you can also download the recording to a compute or phone. Another of the remote control features is that you can lock any target device without even touching it. In addition, you can also remotely wipe data off the target phone. These remote monitoring features can be used by the parents who are looking out to limit the screen time of their children. Monitoring iMessages and IM chats. 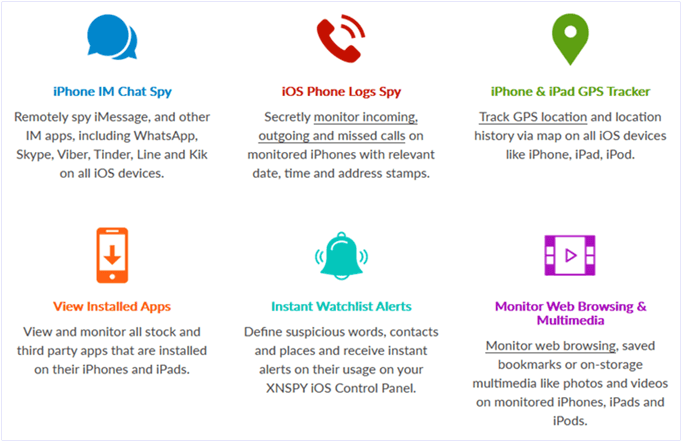 If you want to spy on the chats in popular instant messengers on an iPhone then there is no other way than to use Xnspy. You can use this app to monitor some famous social media messengers. With the help of it, you can access chats and group chats in Facebook, WhatsApp, Tinder, Instagram and Skype messenger. It will allow you to see all the sent and received SMS in the phone’s inbox. If you are an iPhone user, then there are certain services that only iPhone to iPhone users can use like iMessage and FaceTime. This tracking app for iPhone allows you to spy even on the monitored users’ iMessages. Using the app is not difficult at all. Go to their website and subscribe to the app first. Once you are done with subscribing, you will receive an email that has a download link, a code, and instructions for installation. To install the app, grab your target phone and use the download link to install the app on the iPhone. Installing the app will not take longer than 3-4 minutes. The app does not consume a lot of your phone space. You would require less than 5MB of space to install it. Once the app is installed, it will operate in the stealth mode and no one will be able to find it. XNSPY’s tracking app for iPhone offers two different packages. Below is the latest price chart for iOS smartphones. This price is competitive as compared to its market competitors. And it is a good value for money considering the variety of features one acquires after purchasing the app. To finish off, if you are an iPhone user and you are looking to spy on an iPhone, this app has many dynamic features. Though a new user may ask for a trial version before one buys it, it is still quite affordable and definitely worth trying.